In aid of the Red Cross Primrose Day. Wednesday next, April 19th, 1916. 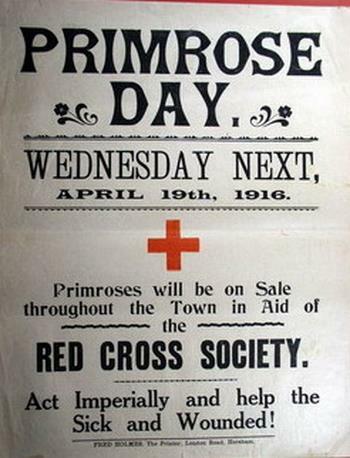 Primroses will be on sale throughout the town in aid of the Red Cross Society. Act imperially and help the sick and wounded!